Posted on 2, September 2016 by EuropaWire PR Editors | This entry was posted in Education, Management, Media, United Kingdom and tagged Dr Gill Rider, Jon Sopel, journalist and broadcaster, University of Southampton. Bookmark the permalink. 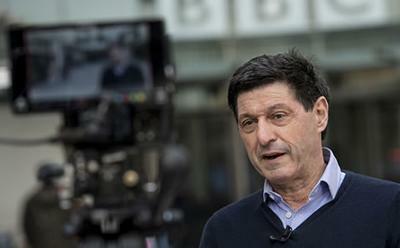 SOUTHAMPTON, 02-Sep-2016 — /EuropaWire/ — The University of Southampton has announced the appointment of journalist and broadcaster Jon Sopel as Pro-Chancellor. Sopel, a graduate of the University in 1981 with a BSc in Politics and Sociology, has enjoyed a distinguished career with the BBC and currently serves as North America Editor based in Washington, DC. As Pro-Chancellor, he will deputise for Southampton’s Chancellor, Dame Helen Alexander, presiding over graduation ceremonies and playing an active role in the future development of the University. Sopel will also play a key ambassadorial role for Southampton through activities linked to the University’s strategy. His role as Pro-Chancellor will take immediate effect. Following his graduation from Southampton in 1981, Sopel remained at the University as Students’ Union President. In 1983, he joined BBC Radio Solent in Southampton as a reporter and producer. He later went on to become the chief political correspondent for BBC News 24 and spent three years as the BBC’s Paris correspondent during the late 1990’s and early 2000’s. He was awarded an Honorary Doctorate of Letters by the University in 2011 and more recently has been engaged as a member of the Advisory Committee to Public Policy@Southampton, an Institute within the University of Southampton that supports researchers during the science-to-policy process.